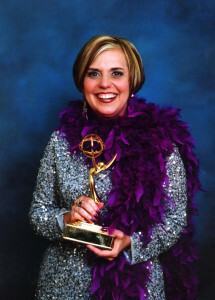 Pat Launer is an Emmy Award-winning theater critic and arts writer who was named a Living Legacy by the Women’s International Center. She served as writer, host and producer of “Center Stage,” a KPBS-TV program devoted to the performing arts, for which she won her Emmy. Her insights about theater have also been seen on Channel 4 San Diego and KUSI-TV. Pat has reviewed San Diego theater for nearly three decades; she sees more than 200 productions every year, and is the only regularly broadcast theater critic in town. 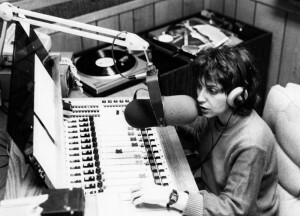 Her radio features have been produced on National Public Radio and KPBS-FM. With her colorful hair, language, and personality, she’s earned the moniker “theater diva.” She has won numerous awards for her writing from the San Diego Press Club and the Society for Professional Journalists. She was honored with a National Commendation from American Women in Radio and Television and a national award for her documentary, “The Legacy of Luis Valdez, Father of Chicano Theatre,” produced at CityTV24 in San Diego. She has written arts features and/or theater reviews for the Los Angeles Times, the San Diego Union-Tribune, the Orange County Register, San Diego Magazine, and national publications such as In Theater, Performance Today and Woman’s World. Currently, Pat’s theater reviews can be heard weekly on KSDS-FM, Jazz88.org. Her reviews and previews also appear at TimesofSanDiego.com. She writes regularly about culture, lifestyle and the arts for the San Diego Jewish Journal and San Diego Home Garden/Lifestyles magazine. She is a sought-after emcee for performing arts and charity events. 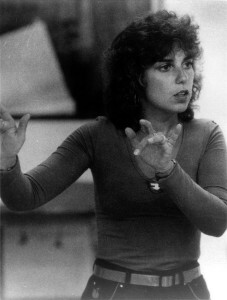 When Pat moved from New York to San Diego, she created Sign of the Times, the San Diego Theatre of the Deaf, and served as its producer, artistic director and writer. She is fluent in American Sign Language. 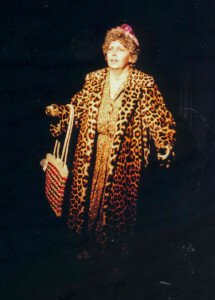 Pat spent years in a musical comedy repertory company in New York, and performs onstage periodically in San Diego. Pat created the Patté Awards for Theater Excellence to honor the range and diversity of San Diego theater and to give something back to the community. For 13 years, she was host, writer and producer of The Patté Awards TV broadcast, which was nominated three times for an Emmy Award. A long-time professor at San Diego State University, Pat was named ‘Most Influential Faculty’ eight times. She obtained her Ph.D. in Communication Arts & Sciences from the City University of New York. She is a member of Phi Beta Kappa. Her training in theater includes accents and dialects, acting for television, improvisation and Commedia dell’Arte.